I’m linking up with Jeannett over at Life Rearranged for Insta-Friday! A review of our week in photos using my iPhone. I am fully addicted to the free Instagram app and find myself looking for things to photograph just so I can use the app. Now I get to share 5 of my favorites each Friday! 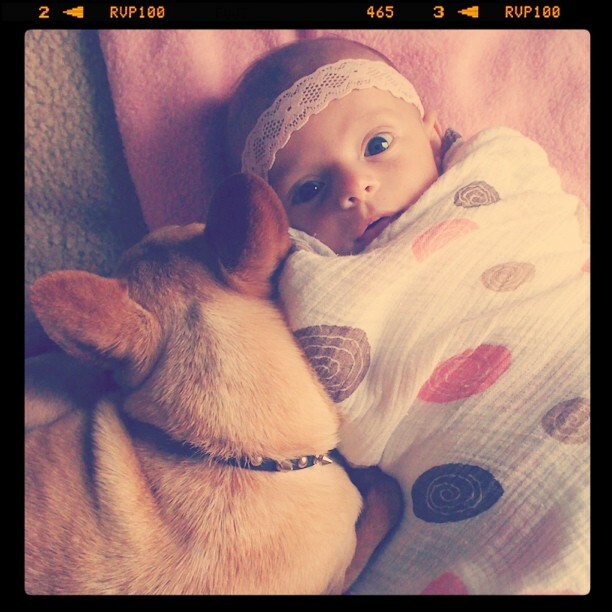 Our sweet baby girl, Katelynn, getting some puppy love from our chihuahua, Jack. We like to call him “Jack Jack”, “Jack-a-roni”, “Jack-a-roo”, and when he’s being obnoxious “Jack-in-the-crack”. Poor dog….All kidding aside, he’s a lionhearted little guy with the biggest personality in a small package. Don’t tell him I said he had a small package…. Lunchtime yesterday called for something warm…because it was cloudy and a frigid 65 degrees in San Diego. Oh the horror! 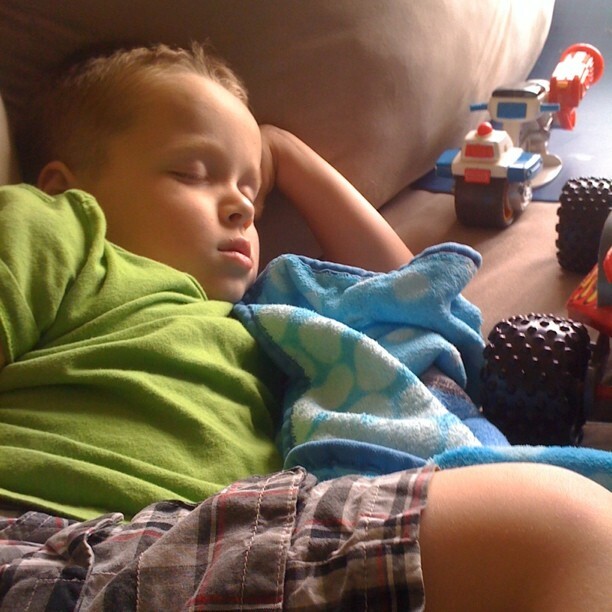 My little guy, Lucas, fell asleep in the first few minutes of a Thomas the Train movie. We were having a rough afternoon and I decided some snuggles on the couch were in order. It was refreshing and helped us to overcome our sour attitudes. 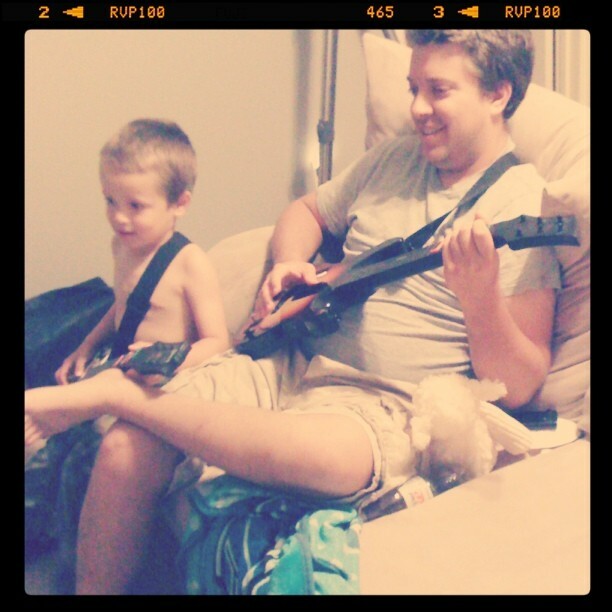 Daddy and Lucas playing Guitar Hero on the couch. They had a rockin jam sesh complete with hilarious dance moves from Lucas. It was very entertaining, who needs tickets to a real rock concert anyway? My absolute favorite of the week…. Katelynn’s first smile. Her very first precious little toothless smirk was captured by my camera. 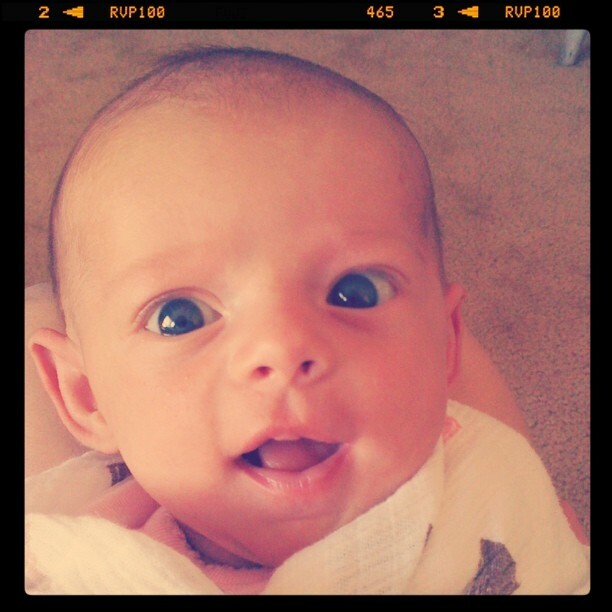 She was grinning at me as I made ridiculous sounds and made a fool of myself to try to encourage a smile…it worked! So that was our week! What were some of your favorite moments from your week? 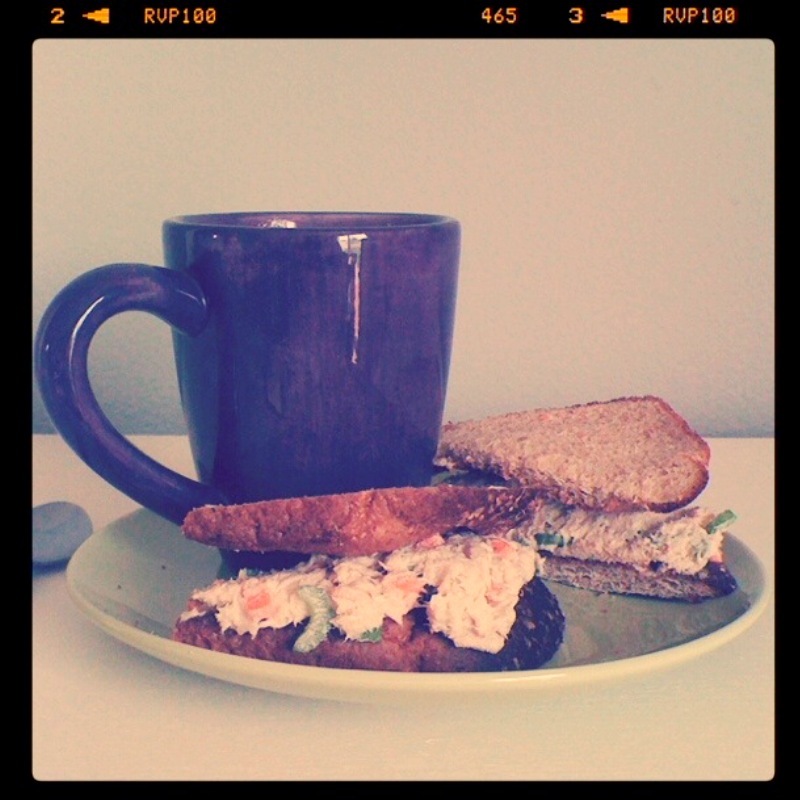 Check out the other Insta-Friday entries!